Storing documents, photos and data in cloud storage can be very convenient. Some people feel it’s much easier to have everything in one place instead of carrying around flash drives or discs that contain your data. But recent events in the media may have you doubting whether the private information you keep in cloud storage is safe from hackers. Use strong passwords and do not use the same password for multiple accounts. Don’t answer security questions honestly. 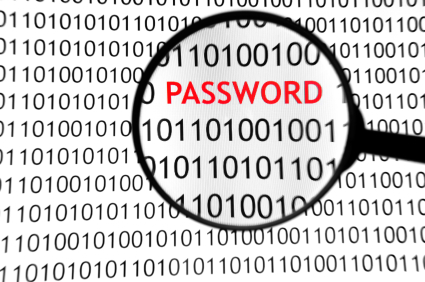 Security questions can be hacked right along with passwords. Make up your own security question, if possible. The answer doesn’t have to be true-just something you can remember. Turn on two-step authorization to require more than a password, such as a security question and a password to successfully sign in to your account. Find out what you are automatically backing up in the cloud. If you don’t want your info to back up automatically, turn that setting off. Understand that you have limited control over the security of what you store on the Internet. To put it into perspective, think of it as storing data on someone else’s computer. You cannot control what he or she does with it or how it is secured. C3RM is pleased to announce that it will be participating in the Canadian Cybersecurity Alliance (CCA) / Alliance canadienne sur la cybersécurité (ACC). The CCA-ACC (originally initiated as the Inter-Association Working Group on Cyber Security – IAWGCS) is a voluntary, non-hierarchical, not-for-profit agile network, founded by Grant Lecky in 2013. The primary purpose of the CCA-ACC is to enhance the professionalization of the Canadian cyber domain through effective inter-association engagement and knowledge-sharing. To date, more than 90 associations with a stake in cyber security have confirmed their participation in the CCA-ACC, making this initiative unprecedented in both scale and scope. Each of the participating associations contribute their own unique perspective on the Canadian cyber landscape. The CCA-ACC is administered by a National Council, whose role includes maintaining the structure of the CCA-ACC itself, and facilitating inter-association dialogue. Douglas Blakey, Managing Director, will be the primary association representative to participate on behalf of C3RM. Canadian Cybersecurity Alliance / Alliance canadienne sur la cybersécurité.